What does it take to make a city attractive for talent and business? Over the last years, Stockholm has taken on a leadership role in talent attraction. 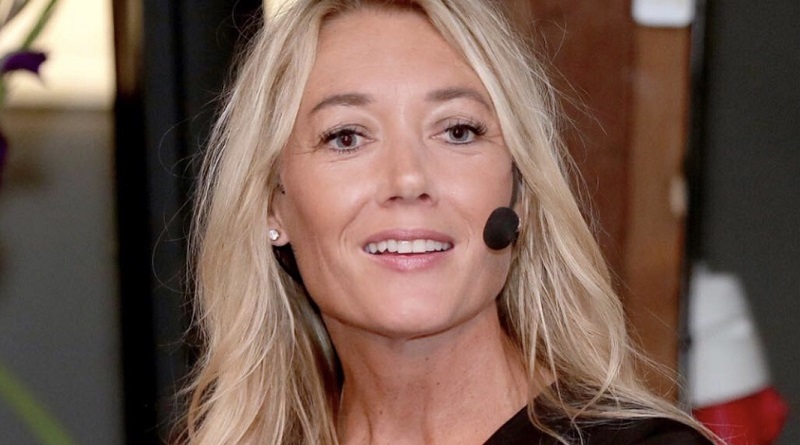 In this interview Anna Gissler, Acting CEO of Stockholm Business Region (with the two subsidiaries Visit Stockholm and Invest Stockholm) shares her thoughts on success factors, challenges and trends in city branding – which, as she says, really isn’t about logos or slogans. Our interview with Anna is part of a special series with speakers at the Nordic Place Branding Conference, organized by our friends at Future Place Leadership. Anna, you have been CEO of Invest Stockholm, the city’s inward investment agency, for 10 years. Do you remember your impression of the city’s appeal for visitors or investors when you first started? My first memory of the marketing of Stockholm towards visitors was actually a nice picture in a frame in my office in the City Hall, saying Beauty on water – one of all marketing campaigns. Stockholm is of course still a very beautiful city built on 14 islands with a lot of water. But the marketing of Stockholm has become more and more about value-driven communication. As Acting CEO of the Stockholm Business Region, which is the biggest challenge you have faced so far in relation to making and keeping Stockholm attractive for visitors and investors? The competition is always hard when you’re acting on a global market, but Stockholm has only become more popular in the last years. For example, the number of travelers from the US to Stockholm has increased by 38% during 2016-2018. In parallel, Stockholm climbed to second-best city in the world at attracting international talents. We believe that Stockholm’s openness and progressive values play a vital role in attracting both investors and visitors, especially at a time of growing populism and closing borders. What characterizes Stockholm as business region? Stockholm is a leading tech and creative hub, attracting some of the best talents in the world. They come here to innovate, as being visionary is in our DNA. We’ve never been anchored to the status quo. Stockholm produces most Unicorn companies per capita than any other place in the world, after Silicon Valley. But more importantly, we strive to be the place where companies leverage technology and entrepreneurship to solve some of the world’s greatest challenges. This is what talents today want to be part of. We also have a very supportive ecosystem for entrepreneurs. Plus, the political stability, transparency and stable economy make Stockholm a safe place to do business in. From your experience, what are the biggest pitfalls in marketing a city region to potential visitors or investors? To work with slogans rather than your true DNA. Defining that DNA and using it as a basis for your communication, will engage the people of your city to become ambassadors. Which trends do you consider the most important this year, for their potential to influence city branding and marketing practice? We have been working with user-generated content for a long time and still think it’s the most powerful tool. In our Move to Stockholm campaigns international talents and Stockholm founders tell their stories about Stockholm. And in our Open Stockholm campaign – targeting visitors – we created a video in one day featuring citizens and visitors in Stockholm. We also work with VR [virtual reality] to allow visitors to experience the archipelago without going there. Or rather, before going there, because the experience really makes you want to visit. Which is the secret for creating and maintaining a genuine, unique brand for a city, which benefits businesses, visitors and residents? Again, staying true to your DNA. People need to recognize themselves in the communication. It’s the people and their values that make the place, rather than its geographical position. Which strategies do you use to involve businesses and entrepreneurs of the Stockholm region, to get their contributions and ideas? In the mission towards Stockholm having an internationally competitive business community and excellent conditions for starting and operating companies, the city needs to be accommodating and efficient in contacts with both small and large companies. We organize a number of seminars and meet ups with the business community to capture their feedback and to keep an active dialogue. We particularly want to facilitate entrepreneurship among women and foreign-born citizens and increase their opportunities to start a business. As a speaker at the Nordic Place Branding conference 2019, which aspects of your work with the Stockholm Business Region will you share with the audience? I will talk about how we attract and retain talent, through value-driven communication. Cities such as Stockholm, Berlin or Barcelona who have successfully established their brands are now entering a new arena with regards to their branding and marketing. In your view, which should be the priorities in this second phase, once the name is “out there”? Increased knowledge and education that a “brand” is not similar to a “logo”. A destination brand is built – and developed – by many parties, not only by the city organization. Businesses, visitors, inhabitants are extremely important. If asked to share one piece of advice with brand managers and leaders of city regions, what would it be? You need to be trustworthy! Connect with Anna Gissler on LinkedIn. Enjoyed our interview with Anna Gissler, Acting CEO of Stockholm Business Region? Spread the word!